#60 - Monica Zimmerman, mentor and educator of Emotional Intelligence talking about Highly Sensitive People. Monica Zimmerman takes pride and joy in serving clients who are committed to work on personal development, elevating their Emotional Intelligence at work and in relationships. As a Midwife for 16 years and it was a magical time! This passion for service has now translated to the work she does coaching women in business and relationships, mentoring organizations on their quest for creating a sustainable company culture using Emotional Intelligence as the guide. Two things Monica learned as a midwife, people want to be “seen and heard”. This is the starting point where she begins all her sessions. She listens, creating a climate for transparency and trust right from the beginning. Listen to the end, as Monica offers a FREE session with her! 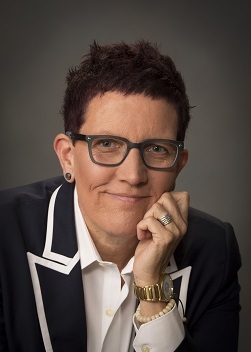 Monica Zimmerman is an Agility & Emotional Leadership Coach. I am a mentor and educator of Emotional Intelligence. I work with those who desire/dream on a highest of levels. If you are wanting to enhance your emotional intelligence, emotional leadership, create a sustainable company culture, inclusion within your business, be vulnerable and go deep to transform your team, then you are at the right place. My clientele often includes those who are Highly Sensitive who want to become great leaders. We work in concert together to find that path that it perfect for them. Wendy is a Relationship & Communication Coach, Public Speaker and Author. She helps people improve their confidence, and self- esteem and communication skills which in turn improves their personal and professional relationships.